Car accidents happen when we least expect them. A victim could be on his or her way to the office, running to the supermarket, or even out for a leisurely Sunday drive. Although we operate our cars in the safest manner possible, we cannot predict whether others on the road will proceed with the same level of caution. Bristol & Dubiel, LLP is dedicated to protecting the rights of those injured in car accidents. We recognize the lasting impact of a serious motor vehicle accident injury and work hard to secure maximum compensation for our clients. If you or a loved one has been involved in a serious car accident, do not hesitate to contact our Dallas office. We offer a free initial consultation with an experienced personal injury attorney. 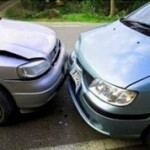 As soon as you hire us, we will launch an exhaustive investigation of your car accident. We work to collect and preserve all necessary evidence, including accident reports, police records, witness statements, and medical documentation. We take an aggressive approach to your case, dealing directly with insurance carriers on your behalf and pursuing a fair settlement. If we cannot negotiate a fair settlement, we are fully prepared to take your case to court. We will remain attentive and available to answer your questions at every stage of your case. If you would like to speak with a personal injury lawyer at Bristol & Dubiel, LLP, please contact us to schedule a free initial consultation.